10-20-17 9 AM – Good morning from Mammoth Mountain, 19 days to go before the ski area opens. Snowman feels so excited I hope you do too. At this time we have snow falling in the area, with snow down to 8000 feet at this time. Checking on snow totals I have 1-2 inches here at my cabin at 8200 feet. 2-3 Inches up at Main and more up top. The snow is a nice thick heavy wet base snow, just what we need to get some moisture back into the ground. The storm we have waited over two weeks for is here and it’s right on track to bring us 3-6 inches of heavy wet base snow. This mess will be out of here later today and then we are heading for a major October warm up. For today expect a highs in the 30s on the hill with highs in the 40s on Friday. Lows will be into the upper 20s tonight. Winds today are gusting to 35 in town with gust to 50+ over the ski area. Look for warming this weekend with highs in the low 60s on the hill by Sunday and mid 60s by mid week. Here in town we could see high in the 70s next week. Beyond that time frame we expect things to cool off as the MJO moves into Phase 6. Looks like the next chance for snow is about 10-14 days out. Here is todays CFSv2 outlook for November, it shows a nice wet month. Confidence in that outlook is about a 3, we will keep watching and update you daily now. Opening day for Winter Sports on Mammoth Mountain is November 9th, 2017. 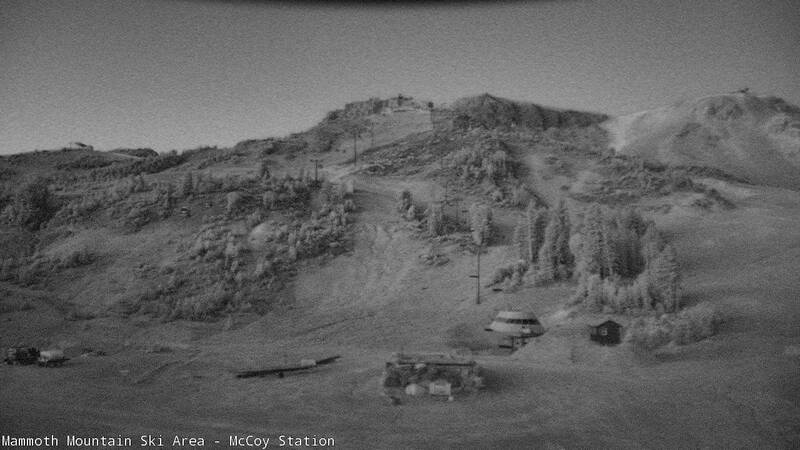 Snowmaking crews should start to come on board for set up and training around the 21st of October. *If you love this web site please consider supporting our content creation by becoming a subscriber. Here is the link to learn more.